As I sit and look around my Fundamentals of Management class it is hard to not notice the absence of black women. When you look at the list of CEOs of Fortune 500 Companies it is also hard not to notice the absence of black women. 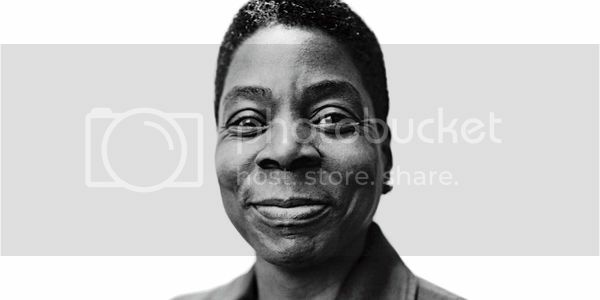 In a field over populated by white masculine faces, Ursula Burns stands out as the first and only black female to serve as a CEO of a Fortune 500 company. Ursula Burns is a beacon of light for young black girls who dream of being successful in the fields of engineering, mathematics, science or business. She grew up in the projects with two siblings and a single mother. Although she grew up poor, she tells the London Business School that her mother told her and her siblings that where they were now did not determined where they could go in the future. Following her mother’s words, she excelled in college and in graduate school as an engineer. She began working at Xerox as a summer intern and in 30 years she has climbed the corporate ladder to become the CEO and chairman of Xerox Corporation. A self-proclaimed “big” feminist, Burns tells Makers that she believes “women are different than men, and that’s a good thing.” She believes that women alone should define their distinct “value added place in the world” because “there are things that only women can do”. Burns also made history for all women when she became the CEO of Xerox, as the CEO before her, Anne M. Mulcahy is also a woman. This marked the first woman-to-woman succession of CEOs of a major US corporation. Burns exudes excitement about the future of women in power and predicts that we’ll see even more women CEOs in the near future. Burns’ story of balancing life as a wife, mother and CEO of one of the top companies in America seems to shatter Anne-Marie Slaughter’s controversial claim in the Atlantic in “Why Women Still Can’t Have It All”. And she’s doing this all as a black women raised be a single mother in poverty. Hearing Ursula Burns speak, knowing where she came from, and seeing where she is now, is such an empowering and moving experience. She is always humble, down to earth, and genuine when she speaks making it hard to imagine that she has had such a huge impact on black history and has paved the way for thousands of black females to become CEOs. Ursula Burns is living black history, a superb role model for black entrepreneurs and engineers, and proof that if you work hard enough, you can defeat all odds. Alexis Jackson is a student studying Creative Writing and Fine Arts at Vanderbilt University. You can reach her at alexis@forharriet.com.